A homemade bomb explodes in the middle of a raging college party. Lives are ended at the height of discovering just who they really are. Three days before the bomb goes off, we meet some of the key students on this once serene college campus that's beginning to run amok in political divisions. There is Tristan, with his tattoos and raging hormones and a bullhorn to his lips shouting his radical politics and conspiracy theories to the crowds on the Campus Commons. There is Luke, who is deeply aware of the pain his fellow college students' sins cause our One True God, and who is finding himself more and more unable to stand idly by and bear it. There is Ryan, whose anger is growing out of control as he tries to wake his fellow ROTC students up to prepare for the war he believes the new president will lead us into soon. Will one of them do it? Will Kristi find a way to become the "strong woman" she wants to be while also holding onto her Christian beliefs and standing up to her boyfriend Luke's growing extremes? Will Kyle, Tristan's Persian boyfriend, become a suspect because of his skin? Is Jasmine, the Senator's daughter, actually an intended target of the bomb? Will the university's president, Madeline Voorhees, have to abandon some of her liberal beliefs in the interest of safety? 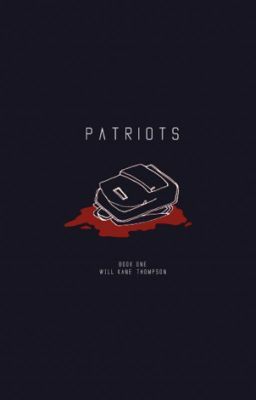 PATRIOTS is a series of novels that will take us on the journey of discovering who committed this act of domestic terror and why; experiencing campus on lock-down by the FBI and other authorities as they try to stop the culprit or culprits from attacking again; and feeling the struggles of students who need to fight back against the Police State their campus becomes. The first chapter drops July 4th. Get ready.